VisitEngland announced that Chawton House has won a ‘Hidden Gem’ award, part of their 2018 Attractions Accolades, which recognises the quality of visitor experiences across England. Following their annual assessment by VisitEngland in September, Chawton House was nominated for the ‘Hidden Gem’ accolade, based on their exceptionally high score of 84%. This was an increase from 81% given in 2017, with an inaugural score of 71% in 2016. “England is home to world-class attractions right across the country, welcoming visitors throughout the year and offering experiences of the highest quality including excellent food and drink and outstanding customer service. It is also really fantastic to see these accolades recognising the work of those employees, managers and owners who make sure that all who pass through their doors have a truly memorable experience.” VisitEngland Director Andrew Stokes. 2019 marks the fifth year Chawton House has been open to the public, and there are several new highlights to enjoy when it reopens in March. This includes a Jane Austen walking trail through the grounds of Chawton House, as well as opening up two previously closed rooms to the public. The Old Kitchen Tearoom has been renovated. Chawton House opens to the public on March 4, 2019. The main exhibition focuses on Jane Austen’s reading; both books she had access to and those that inspired her writing. Upcoming events include the National Garden Scheme Snowdrop Day, happening on Sunday 24 February and the International Women’s Day Celebrations on Wednesday 8 March. Jane Austen’s brother, Edward Austen, inherited this 400-year old manor house in Chawton from childless relatives, Thomas and Catherine Knight. He offered his mother and sisters a home at the nearby bailiff’s cottage, now Jane Austen’s House Museum. 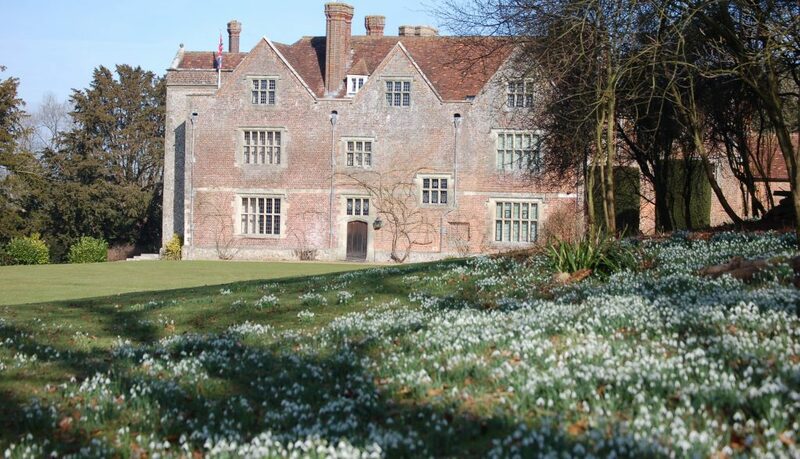 Chawton House, known to the family as the ‘Great House’ was almost as familiar to Austen as her own home. A treasure trove of Austen and Knight family heirlooms, particular highlights include the dining table at which Jane Austen dined with her family, her brother’s portrait, suit and journal, and a portrait of her favourite niece, Fanny Knight. The house is also home to a fascinating collection of some 10,000 volumes of early women’s writing, including writers Austen admired and was influenced by, as well as a unique manuscript written in her own hand. To find out more, go to www.chawtonhouse.org. Chawton House works closely with its neighbour, Jane Austen’s House Museum, a separately registered charity. Jane Austen’s House Museum is the house where Jane Austen lived and wrote. It is the most treasured Austen site in the world. It was here that Jane’s genius flourished and where she wrote, revised and had published all her major works: Sense and Sensibility, Pride and Prejudice, Mansfield Park, Emma, Northanger Abbey and Persuasion. The Museum holds an important collection of objects associated with Jane Austen, including letters written by Jane and personal effects belonging to her and her family. Particular highlights include her jewellery and the table at which she wrote her much-loved novels.